Please note that due to the cooler mornings Thursday trials will start at 7.00am from 19/05/16 and Monday trials will start at 7.30am from 23/05/16. $5.50 for Adults and $3.30 for Pensioners. Full totalisator facilities available at both meetings. Tuesday, Friday twilight and Saturday night meetings televised on Sky Racing. Patrons are reminded that the Club's Totalisator is operated under the supervision of an Inspector of Totalisators appointed by the Commissioner of Stamp Duties. The information contained in this form guide is provided in good faith. All reasonable efforts have been made to ensure the accuracy of the information. 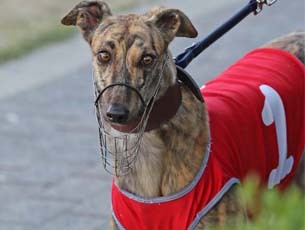 However, the Ipswich Greyhound Racing Club expressly disclaim all and any liability to any person or company arising, directly or indirectly, in respect of anything done, written, or omitted to be done in reliance on any of this information.